Media interviews can range from friendly to hostile and everything in between. Need media training tips, press training or to learn how to answer tough media questions? Here’s how to prepare in advance, how to handle all types of media interviews and, most important, how to put your best foot forward. We’ll get you ready with our newest collection of current media interview tips and media training resources now located on our PR and Social Media Insight curated pages on Scoop.it. It’s the newest media training tips and resources, in addition to the Archive below. So get ready, get set, get interviewed! Lots more media training at TV Interview Clips and Media Interview Planning. Sites with a W are PR Coach “winners.” Note, some sites are PDF documents or video, requiring patience while opening. For researchers, students and for writers looking for historical articles, we’ve retained our archive below with our original best media training tips and posts from 2008 to 2013. More useful media training resources in addition to the current resources above. Tips to handle crazy callers and other unexpected situations. Practical preparation will help get you TV-ready. Steve Wilson offers five quick media interview tips. 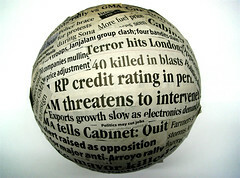 You can avoid being misquoted by reporters by following a few simple rules. Valuable media training lessons are contained in these video clips. There’s actually 10 tips to help you avoid common media interview mistakes. Practical media training tips from Margaret McCann. Media training 101 from BurrellesLuce. Planning to be interviewed? These 10 broadcast interview tips will help you put on your best face. Rick Amme offers crisis media tips and mentions training for the Chilean miners. A good set of interview tips for scientists from AAAS. These TV and radio tips will make your interviews more effective. Infographic from Harvey Leach has basic media interview tips. Spokesman for Senator Norm Coleman, on issue of expensive suits, uses key messaging repeatedly. Effectively? You be the judge. Preparation for media interviews critical writes Andy Gilman. Watch for ah, the ah’s. Politicians and other interviewees will have more success if they answer the questions. When is an apology not an apology? Some excellent tips. Paul Lima offers tips on getting ready for interviews. Jerry Brown says don’t keep a bad story alive. Learn the critical skill of “bridging” to help you improve your media interview skills immeasurably. How to become a powerful spokesperson with these broadcast interview tips from The SPIN Project. This is Jeff Jarvis’ blog about buzz, news and the media. Can You Stop an On-Air Laughing Fit? This media training tip from Brad Phillips is, well, too funny. Jon Greer’s blog often has excellent spokesperson tips. Alejandro Pino, radio journalist, has been coaching the miners to handle the crush of media expected as the rescue is completed. Chilean Miners: Will Media Training Help Them Cope? Here’s a thorough media relations guide with useful interview tips. A practical guide to developing clear, concise key messages. Allan Bonner shares media interview tips. Lengthy but thorough PowerPoint overview of media relations from an IEEE conference. A solid set of tips from Thomas Greaney to guide you to better media interviews. These five simple tips will help you have a positive interview. TV interview tips from Brad Phillips. Trash the legalese for more effective media interviews. You may never face an “ambush” interview but understanding how this bad journalism works could save you. UK media trainers’ blog features regular media training and interview tips. Candid advice on how a CEO can manage media problems during a crisis. Karen Friedman provides insight and practical media interview tips. Rick Amme shares a story about taking charge to create positive media relations. Here’s a good set of interview planning tips and techniques on handling controversies and tough situations. Six media interview tips to get you ready for news success. Wondering how to mention your book in an interview? Chelsea McLean tells how. These tips will get you ready to talk to media. Four excellent media relations options when your response is limited. Here’s how to avoid getting ambushed. More smart media training tips. A statement is clearer, faster and sometimes more useful for a reporter. Here’s how to write one. Good talking points are clear, concise and easily delivered. Here’s how to put good talking points together. If you can answer the question “What do you do?” you’re halfway to an effective media interview. Author, Hollywood reporter and interview expert Gayl Murphy shares interview tips for celebrities, CEOs and anyone facing the media. Johna Burke and Mark Ragan discuss whether ‘off the record’ still exists with media. Steve Wilson provides tips on how to create and deliver sound bites for effective media interviews. Andrew Harvey deals with a media interview challenge. News anchor and interviewer Couric discusses what makes a great interview in this video clip. These guidelines from the Emergency Nurses Association cover most media interview situations. A set of planning and interview tips for university spokespeople. Toronto’s newly elected mayor shows rudeness in this nationally broadcast radio interview on CBC. Basic interview tips from Ailen Pincus to get you started on a positive path. These interview tips from The Pincus Group will help you in control. This media tips video is practical and covers interview presentation basics. An editorial board meeting is a powerful media relations strategy. Always get back to the reporter fast or you lose your voice in a story. When it’s smart and when it’s not time to be on the record. Want to know how to create the perfect elevator pitch? Read on. Beware the open microphone as CA Assembly Rep Mike Duvall learned. Here’s how one association dealt with an investigative reporter. Blog from Sawmill PR often features media training tips. If you’re getting ready for a media campaign, these tips will help ace your next interview. Republican strategist Cheri Jacobus illustrates bridging technique in shifting issue from McCain to Obama in interview. McCain spokesperson Mike Duhaime shows effective use of “bridging” to his preferred messaging in interview with MSNBC reporter. Senator Hillary Clinton uses “deflection” tactic effectively in her MSNBC interview. Radio is a unique medium and here’s the Sierra Club’s tips on how to reach out to radio. If you understand the predictability of reporters, Rick Amme says you can respond effectively. Slate offers some media training tips for Sarah Palin next time around. You betcha! Prepare for, carry-out and follow interview tips from Tom Wadsworth, along with some useful words of caution. Avoid these seven basic mistakes for interview success. Harvey Leach media trainers share seven useful tips. Sound bites can add interest to your key messages. Rick Amme shows how to win the battle of the soundbites by coming up with a process that’s seen to be fair. A series of practical articles on media interviews, presentation tips and more from Sources. The Bad Pitch blog provides 10 top things a great spokesman (or spokeslady) should never do. A look inside media training and how it paid off for this CEO. Stop Making Your Opponents’ Case For Them! Be careful not to give away a quote that helps your opposition. Words matter. Even more in media interviews, so choose your words carefully. Interesting view of key messages or “talking points” from SourceWatch. To make the most of your next telephone interview, follow Colin Rowan’s top ten tips. These 12 questions will help you set the ground rules for your TV interview. Know the basics but watch for the tricky one. Learn where to look so you project honesty and confidence. Penn State College of Agricultural Sciences produced this brief set of media interview guidelines. The message here is prepare, prepare, prepare. Seven solid media training tips to live by. Have a story. Keep it simple and focused. And tell it well. That’s the key to successful interviews. NHL goalie causes ruckus and misstatements. Throw away that jargon for better interviews and better communication. Media can be valuable allies. Here’s how to develop effective messages, pitch your story and handle interviews. How to get ready, carry out a radio interview and follow up for great results from Ben Silverman. Christina Khoury shares five useful tips for short interviews. U of Calgary offered these media interview tips. From “why it’s important,” to messaging, your appearance, interview tactics and more. Eleven good questions to ask reporters when they call. Park the PR jargon by the SUV or risk alienating audience. What’s Your Most Dreaded Question? Learn how to avoid combative interviews from Steve Bennett and his tips to turn around difficult interviews. Smart advice regarding media interviews. See how an ABC reporter’s attempt at paraphrasing almost offended a Queen, a CEO, and a movie star. Get ready in advance, get it right and get a positive story. Handling competing stations and interviewee availability is an art as this case study shows. Media training message tips worth noting. The elevator pitch and soundbites are featured in this Aussie tip. Letters to the editor can be powerful, authoritative and effective. Here’s how to do them right! American Geophysical Union produced this superb media relations guide which includes detailed strategies, preparing for interviews, message tip sheet and much more. Down home title aside, you’ll learn the important media interview skill of “flagging” to get across a key point. Here’s an interesting set of media training tips to watch out for from Brad Phillips.